Why is my WordPress site slow? If you happen to ask yourself that question, don't underestimate the problem. 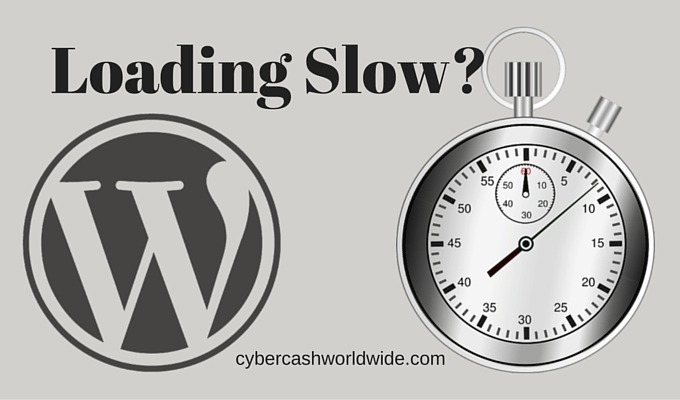 To speed up WordPress site loading is an indispensable task for SEO purposes. Two reasons. If your website is loading too slow (1) your visitors are unlikely to stay and (2) Google will penalise your site, hence no chance of getting ranked high. So you need to act NOW. You can check your website speed using the following two sites. All you have to do is to enter your site URL. Every marketing professional monitors their site speed using a tool such as these, and carries out a maintenance work periodically. So you must do that too. The checklist - infographic below is created by PJ Germain who is the founder of Pure Residuals. PJ is also an ambassador for Wealthy Affiliate, with years of online marketing experience, he often provides us with invaluable trainings, tips and advice. This list is extremely useful. I guarantee the increase of your site speed after you've followed the list exactly, thanks to PJ! Please include attribution to pureresiduals.com with this graphic. I hope you'll make use of this infographic to speed up your WordPress site loading. Thanks again to PJ Germain! Do you want to receive useful tips like this everyday? to increase your income dramatically?